Partnership between Habitat for Humanity and Thrivent offers worldwide home-building trips to benefit those in need. 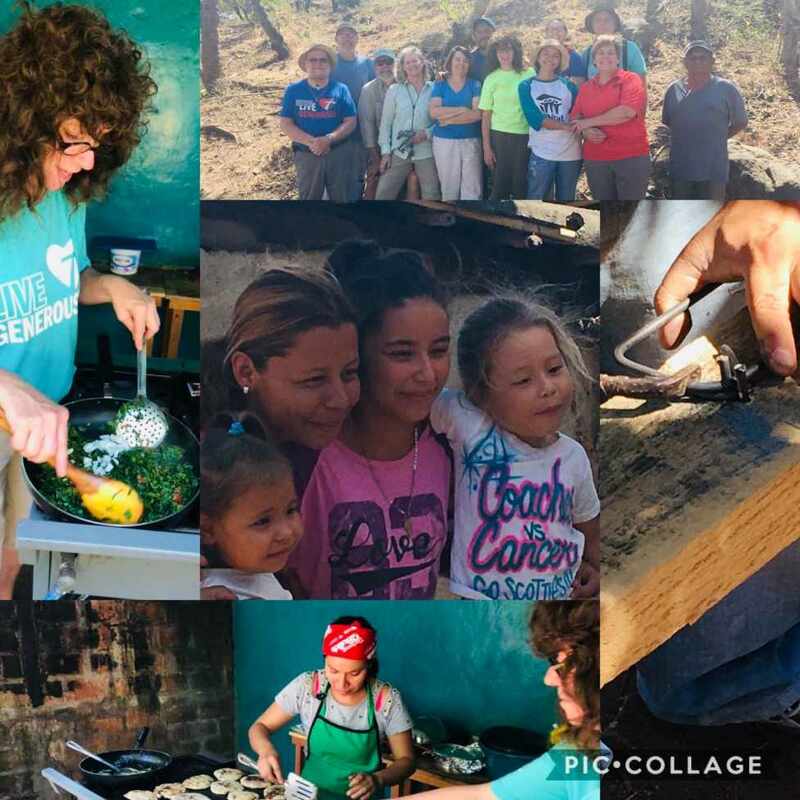 ROANOKE, Va. - April 15, 2019 - PRLog -- Working shoulder to shoulder with her team members and local volunteers in the Ahuachapán community of El Salvador, Connie Parsell recently returned from a home building trip working alongside the future homeowner and other members of the community. The week-long Habitat and Thrivent Worldwide trip is part of the partnership between Thrivent and Habitat for Humanity International. "It was such a remarkable experience," said Parsell. "It was an unforgettable way to live out my faith and to live generously in a different setting." "Divided into two groups of nine, for five days we traveled about thirty minutes from Santa Ana to Candeleria where future homeowners and their families greeted us every day. Each day brought complete peace into the hearts of all who gathered with the families, sharing talents through the strength of the Lord. The time spent in El Salvador was not just building homes, but also developing relationships and connecting with local people", said Parsell. "We took a trip to the local open market, where purchases were made and taken to the small village of Getsamani, where the local co-op women greeted our team of 18 volunteers and taught us how to cook extraordinary food, such as stuffed cheese pan-dried cauliflowers and plantains. We were welcomed to a sit-down feast". "If you are thinking about joining a Habitat and Thrivent Worldwide team, we will be going back to El Salvador next year", said Parsell. Before deciding to go, Parsell encourages folks to read the CTK Mission Blog started by members from Christ The King Lutheran Church in Richmond, Va. who lead the annual Habitat and Thrivent Worldwide trip to El Salvador. You can read more about their adventures, personal thoughts and reflections from the 2019 trip at http://www.ctkmission.home.blog". The need for simple, decent housing in El Salvador is great and Thrivent members are making a positive impact through the Habitat and Thrivent Worldwide program. The impact in the US and around the globe of these home building trips is changing lives for both the families receiving the homes and the volunteers who build the homes with them. Thrivent Financial is represented in the local area by the Blue Ridge Group - Thrivent Financial, which includes Charles Leiser, Financial Consultant; Max Holland, Financial Consultant and Stephanie Leiser, Licensed Office Manager. They have offices located at 1340 Maple Avenue SW, Roanoke and can also be reached at (540)491-9993. Together, Thrivent and Habitat for Humanity help families in need of a safe and decent place to call home. With our communities, who put God's love into action by pooling their power and passion, our partnership helps both those giving and those receiving on their journey to a more content, confident and fulfilling life. Since the beginning of the partnership, thousands of families and individuals now have a safe, decent place to call home. Thrivent is a financial services organization that helps Christians be wise with money and live generously. As a membership organization, it offers its more than 2 million member-owners a broad range of products, services and guidance from financial professional nationwide. For more than a century it has helped members make wise money choices that reflect their values while providing them opportunities to demonstrate their generosity where they live, work and worship. For more information, visit Thrivent.com (http://www.thrivent.com/). You can also find us on Facebook (https://www.facebook.com/thrivent/) and Twitter (https://twitter.com/thrivent/). Habitat for Humanity International's vision is a world where everyone has a decent place to live. Anchored by the conviction that housing provides a critical foundation for breaking the cycle of poverty, Habitat has helped more than 4 million people construct, rehabilitate or preserve homes since 1976. Habitat also advocates to improve access to decent and affordable shelter and supports a variety of funding models that enable families with limited resources to make needed improvements on their homes as their time and resources allow. As a nonprofit Christian housing organization, Habitat works in more than 70 countries and welcomes people of all races, religions and nationalities to partner in its mission. For more information, to donate or to volunteer, please visit Habitat.org (http://www.habitat.org/), or follow us http://www.facebook.com/habitat or at Twitter.com/habitat.org (http://twitter.com/habitat_org) or join Habitat's blog community at Habitat.org/blog (http://www.habitat.org/blog/article100.aspx).